Neuroanatomy. 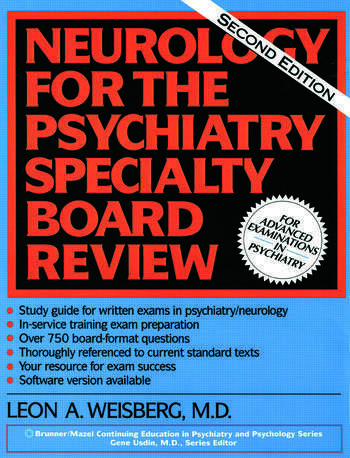 Neurological Localization and Examination. Diagnostic Tests. Headache and Pain Syndromes. Spinal Cord Disease; Neck and Back Pain. Cerebrovascular Disease. Seizures and Epilepsy. Syncope, Vertigo, Dizziness. Sleep States and Sleep Disorders. Dementia and Neurobehavioral Disorders. Central Nervous System Neoplasms. Central Nervous System Infections (Including AIDS). Dyskinesias. Peripheral Nerve and Motor Neuron Disease. Muscle and Gait Disorders. Traumatic Disorders Including Head Injuries. Neurological Manifestations of Systemic Disease. Impaired Consciousness - Stupor and Coma. Demyelinating Disorders. Childhood Neurological Disorders.